In 1979 Chile ordered six of the improved Mirage 50. as the 50C "Chilli". This version was fitted with a nose capable of housing Agave or Cyrano IV radar. 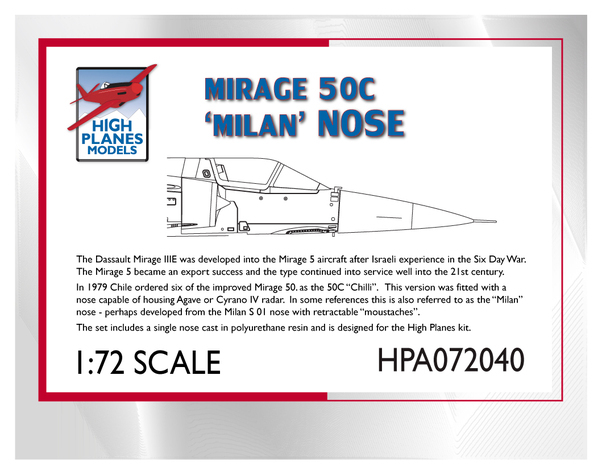 In some references this is also referred to as the "Milan" nose - perhaps developed from the Milan S 01 nose with retractable "moustaches".